Today is a holiday in Ontario. While I’m taking the day off, Baxter’s covering the blog. 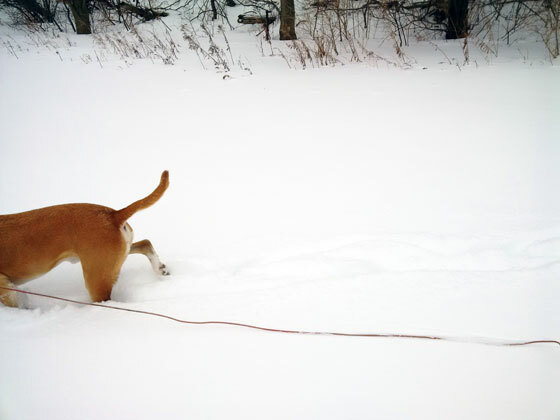 Since coming from Kentucky, I’ve learned that fresh snow is fun for bounding and sniffing. 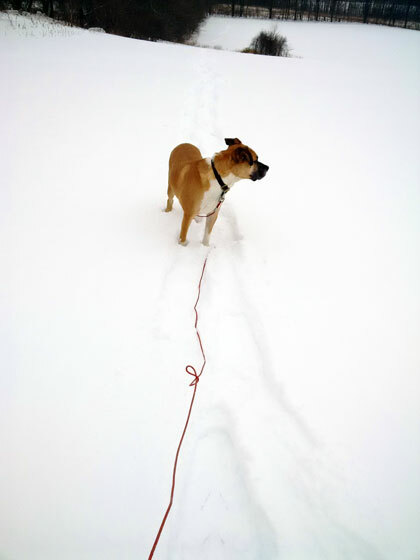 But trail-blazing is hard work, especially with four legs to push through the snow. Lesson for other puppies out there: When y’all get tired of bounding, it’s okay to follow the footprints. 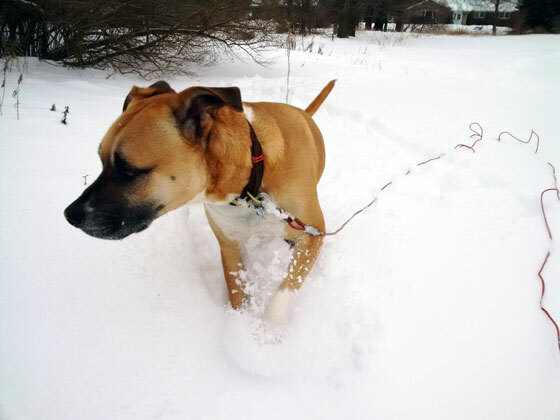 Another lesson for other puppies: If snowshoes are involved, don’t follow too close. 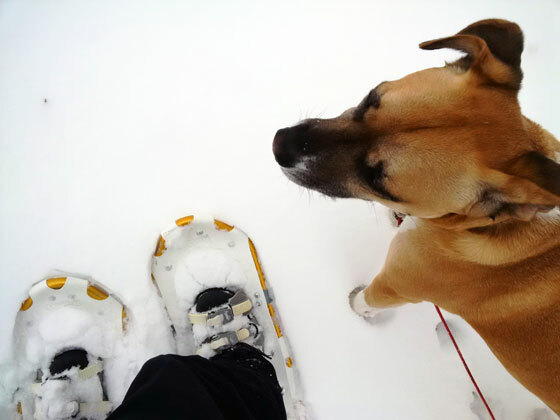 Snowshoes have tails that are easy to step on–or that can whack you in the chin if you’re not careful. Anyone know if snowshoes come in doggy size? Baxter, you are like my little cat. We got about an inch of snow last night and she refused to walk over to me to get food!! Once I had walked she was happy to follow my footsteps! But from the pictures, it looks like you got a little more snow than we did! And we’ve gotten more snow since! It’s also turned extremely cold which is very hard on puppy feet. And kitty feet too, I’m sure. Looks like so much fun! 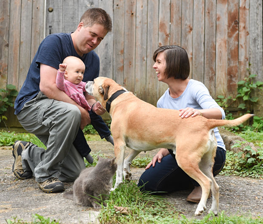 Such cute pictures too. It was. I only started snowshoeing last year and I really like it. It’s a good way to get around the farm this time of year. The snowbanks get really high and our world gets pretty small! More snow has fallen since then, so there’s been lots more snowshoeing.